Couples counseling Chattanooga is an unhappy couple’s strongest attempt to save their marriage and avoid a divorce. Counseling with a paid professional is an exceptional way to deal with building resentment and voicing feelings of unhappiness and discord. This is a responsible and practical attempt to save the union, keep the family together and learn about each other. Communication is often the problem. We are either not talking or sharing information and feelings in all the wrong manners. Sometimes, we wait too long to try and repair the situation. Couples counseling Chattanooga will help find common ground on any issue that needs addressing, including finances, living situation, health, children and more. The benefits of professional paid marriage counseling Chattanooga are plentiful. Discover effective ways to resolve conflict. Learn new communication skills, seeing not only how to listen, but how to process what is being said. Find out how to state your needs with clarity, without being confrontational and argumentative. Become familiar with ways to get what you want without engaging in conflict or making demands. Learn how to approach your spouse with fear of hurting the spouse. Take advantage of marriage counseling Chattanooga as a safe environment for honest expression with a mediator. Discover the best ways to understand your spouse, their needs and how to reconnect so that you can each take care of each other. All these goals are attainable for a couple that is truly looking to save their marriage. A paid professional has the relationship skill and formal education that will monitor your progress over the course of your sessions. They will work alongside both parties, helping you open up, spot the issues and find the best manners for working through them. Besides a positive attitude, every couple has to be patient. Resolution cannot be accomplished overnight. Anyone that believes they have done this could soon find themselves right back where they started. The fact is marriage counseling Chattanooga can be intense and frustrating. But with a professional sitting across from you, expect a calm and rational hand to keep you on the right track every step of the way. The biggest benefit of utilizing couples counseling Chattanooga is knowing both parties have put their best efforts to save the union. Of course, there may be instances where one spouse is unwilling to put their heart into the work, but even then you will both know your marriage has hit its plateau. At that point, the marriage can be dissolved with the understanding you tried. Even the counselor will know this. 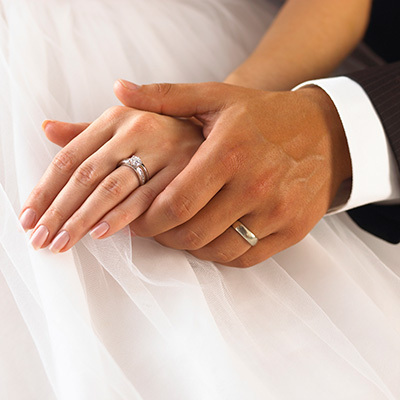 There are couples that look at professional premarital counseling Chattanooga as well. This can be a smart move. They can learn about differences they have yet to discover and be confident about their decision. A counselor can walk them through the detours many couples only discover after promising to spend their lives together. Professional couples counseling Chattanooga is about mediation and objective feedback. It’s about helping couples reconnect to their purpose and seeing if that purpose still matters. It has to be remembered every relationship will be filled with valleys and peaks. It is the rare union that does not have its trying periods, where either party can barely stand one another. But there also wondrous moments that never leave their hearts and the marriage is fine. This is how relationships work.